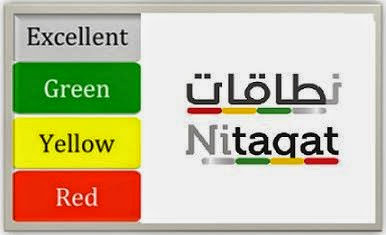 Nitaqat category is introduced by ministry of labor in mid of 2011 to provide more jobs to Saudi nationals than expatriates. Nitaqat category is categorized in 4 colors, Every company will be in one of these four categories which are Red, Yellow, Green and Platinum. These categories are allotted to the company on the basis of Saudi employees on that company. White cateory is assigned for those whose employees are lessthan 10 with one saudi employee, it is not covered under nitaqat system. 1. Easily getting new visa in every 2 months. 2. Can renew Iqamas before 3 months of expiry. 3. Easily can change of employees professions. 4. Accept new employees under red or yellow categories. The company will fall in yellow zone if their saudi employees are about 7%. 1. Get one new visa for 2 employees sponsorship depart. 3. Unable to renew iqamas for those employees who completed 4 years. 4. Unable to stop those employees who want to move their sponsorship's to green or platinum category.